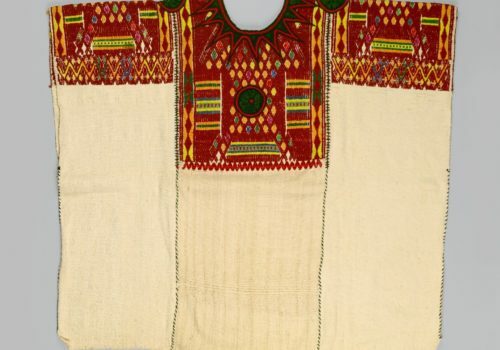 Huipil is the most common traditional garment worn by indigenous women from central Mexico to Central America. 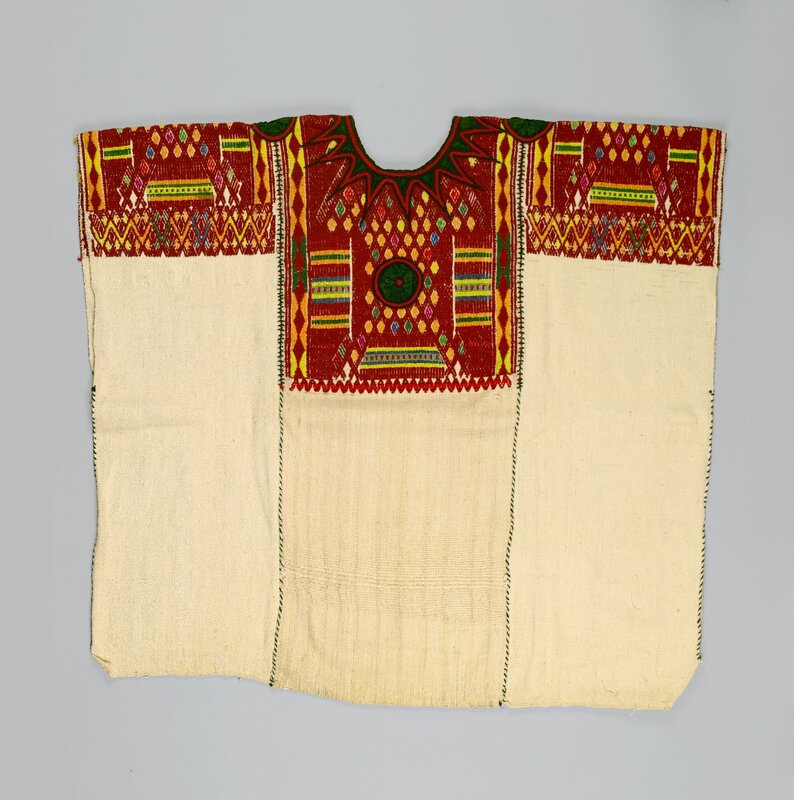 It is a loose-fitting tunic, generally made from two or three rectangular pieces of fabric which are then joined together with stitching, ribbons or fabric strips, with an opening for the head and, if the sides are sewn, openings for the arms. Traditional huipils, especially ceremonial ones, are usually made with fabric woven on a backstrap loom and are heavily decorated with designs woven into the fabric, embroidery, ribbons, lace and more. However, some huipils are also made from commercial fabric.